File photo of gubernatorial candidate Andrew Gillum. Democratic gubernatorial candidate Andrew Gillum often tells liberal Democrats that they should take a close look at the congressional voting record for fellow Tallahassee resident Gwen Graham. "You can measure for yourself," Gillum said Monday during a Miami-based podcast.
" (You) have one candidate who is running who, during her term in Congress, during the first year of her two years of total service, voted against President Obama 52% of the time. She's running for the Democratic nomination. She voted for the Keystone pipeline, voted to weaken Dodd-Frank, an important consumer protection, voted to weaken Obamacare – Obama required employers provide healthcare for their employees after thirty hours a week of work." Gillum, however, has a vote on his record that could give environmentalists at least as much pause as Graham's Keystone vote: As a Tallahassee city commissioner in 2005 he voted for Tallahassee to join a group of cities and public utilities to build a $1.5 billion coal-fired power plant in north Florida. The 4-1 vote committed the city to spending up to $6.4million to secure its spot in the controversial project. Amid citizen opposition, Gillum suggested it go a referendum for Tallahassee residents to sign off. "I would not vote for this plant if it were in Leon County," he said over a chorus of cheers and applause. "I think that for me, there are certain points along the way when you look up and you say, 'I can't do this because it's not right.'" Voters approved the project, thanks in part to a public relations firm the city hired to promote the project, but Gillum eventually turned against it. The city wound up spending about $2.7 million pursuing the coal plant that would never be built. The Gillum campaign brushed off the significance of a 13-year-old vote and took the opportunity to attack Graham again on her Keystone vote. "Clean energy technology has improved, as evidenced by Tallahassee's new 120-acre solar farm that Mayor Gillum opened last year, and we have better ways to power our lives than coal or the Keystone XL Pipeline, which Gwen Graham voted for over President Obama's objections," said Gillum spokesman Geoff Burgan. 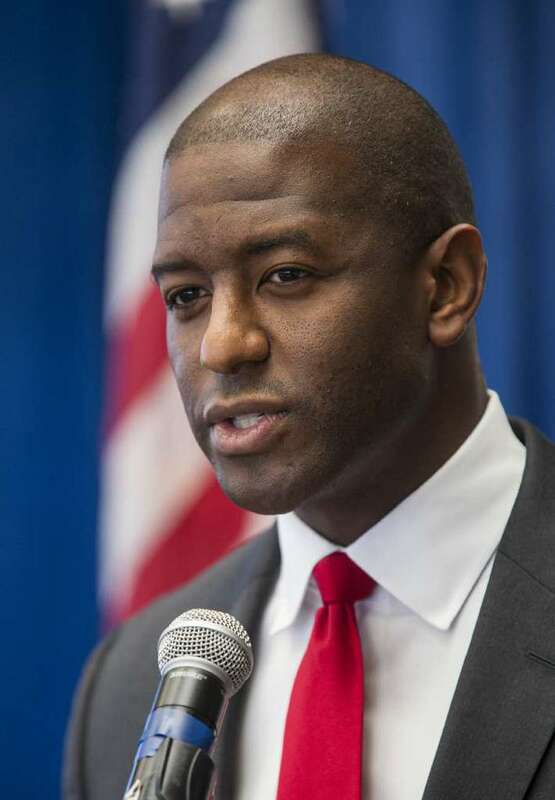 "It seems the Gillum campaign still owes Florida Democrats an explanation when it comes to Mayor Gillum's support for building a coal plant in Florida," said spokesman Matt Harringer. "Gwen Graham is transparent and detailed whenever asked about her record on energy issues, and, in Congress, was a proud supporter of President Obama's bold Clean Power Plan to eliminate coal plants and reduce pollution — a fact the Gillum campaign is well aware of, though it obviously doesn't fit very neatly into their increasingly negative campaign."